Each menu item can be styled individually as well. 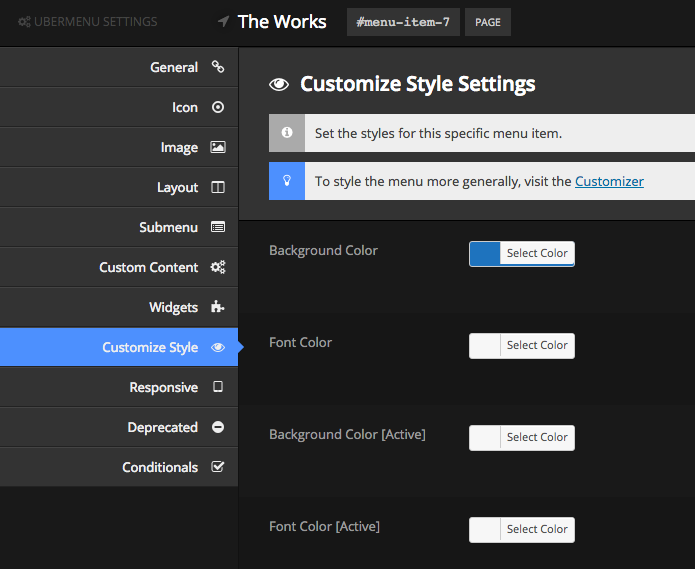 UberMenu provides a few common style settings for each menu item, which can be found in the item settings. In the Appearance > Menus panel, open the item settings for your desired item and click the Customize Style tab. Tweak the settings as you like and save your changes to apply them to your menu.